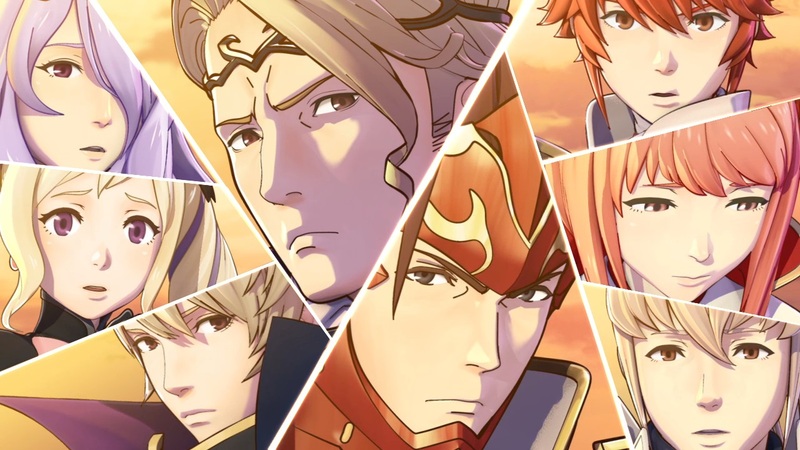 4Gamer recently had a chance to talk with Nintendo and Intelligent Systems about Fire Emblem If and some of decisions they made regarding the planning and execution of the multiple release title. Among the topics discussed were the reason for splitting the storylines into two games, how the characters are presented in both versions to create a more diverse and thoughtful portrayal, the length for each of the games and the actual gameplay differences between the two. Producer Hitoshi Yamagami went into great detail about these elements in the interview. As it regards the reason for developing Fire Emblem If: White Kingdom and Black Kingdom as two separate titles, Yamagami stated that it was important to them to offer players the choice of which side they wanted as an ally in the struggles they will face. Both games have the same starting point, but, after Chapter 5, the narrative goes in a natural direction based on which version you’re playing or which choice you’ve made for digital versions. For White Kingdom, the game is simpler and meant to be a good jumping on point for new fans of the series and also for players who were first introduced to the franchise with Fire Emblem: Awakening. With Black Kingdom, the player is challenged more in that the victory conditions are more diverse and there is a more limiting cap on experience earned after battles. There are also different perspectives to the storyline being explored based on which version players go with. In White Kingdom, the player is from the peace-loving nation of Hoshido, whereas, in Black Kingdom, the player is allied with the invading nation of Nohr because they were raised there. The game’s characters will appear in both versions, but will be portrayed in a different light based on the side the player fights beside. Playing both versions will provide a more complete and rounded view of the characters by allowing gamers to experience how they are seen by both sides. Yamagami stressed that the principle characters for both factions would make for attractive allies, so some real thought will have to go into which side you want to experience first. Who are they? You won’t fully know until you see it from both sides. Of course, there is no need to play both versions as they each tell their own complete story and both are estimated to be the same length as Fire Emblem: Awakening, which is great news for the fans. This being the case, one might wonder why they decided to create so much content to begin with. Yamagami explained that there was enough story-based content to tell an expansive fantasy epic of warfare, and they had two choices: they could either release it as one title that would carry a price tag of two complete games or they could just choose to release two different games and give players the option of investing as much time and money in it as they wanted to. 4Gamer was surprised by this choice since they were expecting there to be a shorter main route and an equally truncated ‘alternate storyline’ to tell the other side, but Yamagami said that, as a Fire Emblem game, they developed from the start with the idea of putting in as much material as they felt was necessary to create a quality product and the result was simply what they ended up with. Yamagami discussed the release strategy for the game and the differences between the physical and digital versions. Yamagami said that players who purchased a digital copy of the game would be able to play up to Chapter 5, which is identical in both White Kingdom and Black Kingdon. At that point, they would be given the choice of which nation to side with, Hoshido or Nohr. Once that choice is made, they will be able to download DLC that covers that side of the story. That download will not cost the player any more money, as it’s included in the initial purchase of Fire Emblem If. After players finish the story, they are free to play through again and choose the other path. At that point, they would have to purchase the other side’s content as DLC with the equivalent cost of purchasing the other title. Yamagami said that physical adopters would be locked in on the side their game focuses on (Hoshido for White Kingdom and Nohr for Black Kingdom), but, after they finish, they can go back and play to Chapter 5 and then download the other side as paid DLC. Also, the third storyline will be exclusively distributed as DLC at a later point. 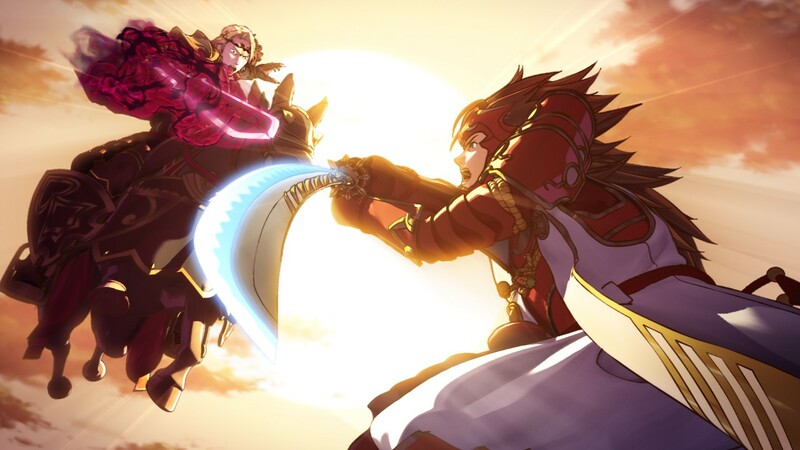 Fire Emblem If is shaping up to be a very ambitious project from Nintendo and Intelligent Systems, and, if Yamagami’s comments are any indication, it’s going to be one heck of an experience. 2016 can’t come soon enough for us fans in the West! Fire Emblem If: White Kingdom and Black Kingdom will be released in Japan for Nintendo 3DS on June 25, 2015. A 2016 release window is confirmed for Western markets.